Samsung Electronics has won an early trial on its claim that the iPhone and iPad 2 devices being sold in Australia infringe on its patents relating to 3G wireless communications. The South-Korean technology giant is furiously fighting multiple lawsuits with Apple over patent infringements in several different countries. "The case will be fixed for a hearing for three weeks, commencing in March, 2012, with the date to be fixed on Friday," commented Justice Annabelle Bennett at the Australian Federal Court in Sydney. Bennett said that sales of iPhone 4S' would be allowed to continue in the meantime. "I stand over the application for an interlocutory injunction, that will stand over to the same date, as that of the date of the hearing," she added. Lawyers for Apple had stated they preferred an August date, giving them adequate time to prepare for the hearings. Justice Bennett believes that would be too far away, however: "They are trying to expand the Android market. The longer it's left the harder it will be for Samsung." She also pointed out that she felt there would be a strong overlap between this new case and the previous regarding Samsung's, commenting that it seemed an unnecessary duplication of resources. 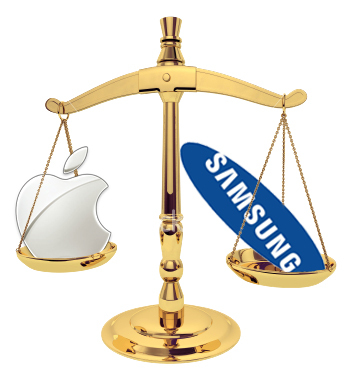 Samsung's lawyer, Neil Young, told the Judge that until April Samsung had adhered to an informal policy not to pursue patent claims to maintain the relationship between the two companies. This was terminated in April, with Young pointing out that Apple never sought to obtain a license from Samsung although "other major players" have. He didn't identify which firms he was referring to. This latest lawsuit filed in September was in response to Apple's request for a court order barring sales of the Galaxy Tablet 10.1 in Australia, which was granted on October 13. The world's biggest smartphone maker has also appealed that ruling with the hearings set to begin in the Federal Court on November 25. At the end of October, Samsung overtook Apple as the world's top smartphone manufacturer, with 27.8 million handsets shipped in the last quarter alone.